March 23, 2012 was a day that Nintendo fans around the world threw up their hands in celebration. Kid Icarus, that lost forgotten gem from the early days of the NES, finally had been granted a long overdue sequel! Kid Icarus Uprising sent shock waves through the “Top 10 List” world by effectively erasing Kid Icarus as everyone’s favorite game that never had a sequel. “Oh, but it’s just a portable version and hardly worth a mention,” they cried, but little did they realize how wrong they were. You might not believe me if I told you, but Kid Icarus: Of Myths and Monsters is actually a better game than the NES original, and it’s free for a month through Club Nintendo. You can play it risk free on your Nintendo 3DS. It’s not like your coins are flying off the imaginary shelves on other good games. So why was Kid Icarus: Of Myths and Monsters forgotten? Well, it’s a Game Boy game, and it’s in black-and-white. True, but so was The Legend of Zelda: Link’s Awakening, and people still fondly remember that one. While Kid Icarus is no Legend of Zelda, that argument doesn’t hold an ounce of water because both games are brimming with the same effort and character found in a lot of late Game Boy games that came after Nintendo learned how to tap its true power. The truth is that even though it is a better game, that doesn’t always mean it is going to be more popular. Better level design, a more balanced leveling system, and much more interesting treasures and rewards mean nothing if nobody has played it. Kid Icarus was already a five year old video game that didn’t have the cult following it found once the Internet became available. Who was going to buy a silly little monochrome sequel to a game nobody remembers when the Super Nintendo exploded just two months before? Nintendo sent this poor game out to die, and it is one of the few Nintendo games to never even get released in Japan! I guess they were ahead of their time on the Kid Icarus nostalgia bandwagon, because it hadn’t quite kicked in yet. 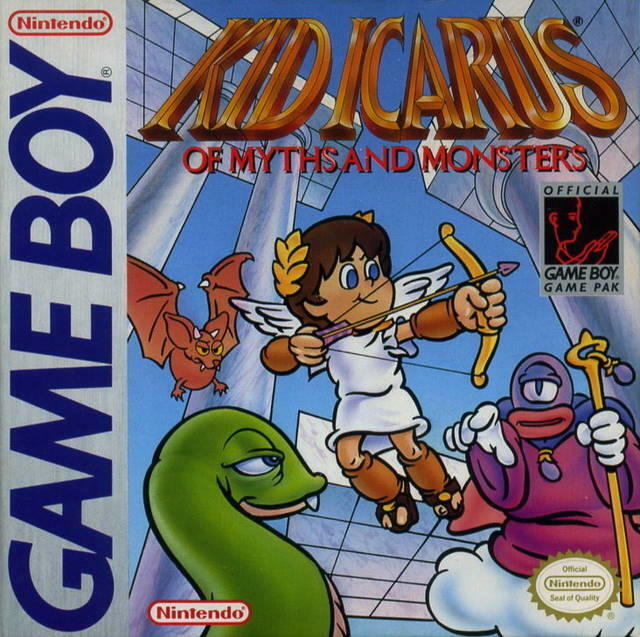 Many years later, Kid Icarus discovered its old audience again through the ROM scene, and fans simply tossed aside Kid Icarus: Of Myths and Monsters’ existence for the sake of convenience when trying to erect a one-hit-wonder pyramid for its predecessor. I’ll give the NES Kid Icarus the benefit of the doubt, because its graphics, imagination, and design were way ahead of the time. But still, the Game Boy wasn’t exactly the epitome of technology either. At the time of release, Kid Icarus was the stuff of dreams, and Kid Icarus: Of Myths and Monsters was just another 2D platformer on a platform that hadn’t quite stumbled on its second wind yet. Link’s Awakening was released two years later. That’s why people remember the original more. Now that it is available for free, I expect every single one of you who called for Nintendo to make a “proper” Kid Icarus sequel to download it and play it. Then you can write the developers at Tose a handwritten letter apologizing for disregarding their hard work once you realize how much fun you missed out on. On a happier note, Pit just looks so sweet on that Game Boy box. I like the new design by Masahiro Sakurai a lot, but that chubby little guy in the old design is just so adorably confident. Let’s compare. I don’t really know who I like better. The other free games are negligible at best. Yoshi from the NES, Number Battler on the Nintendo 3DS, and Bonsai Barber, which does look a little fun actually, are there for the taking if you want them. Don’t bother, Kid Icarus: Of Myths and Monsters is your game this month.